thatdevspace - Cluj-Napoca is more than just a co-working space, it is a community space for developers and other independent IT professionals. 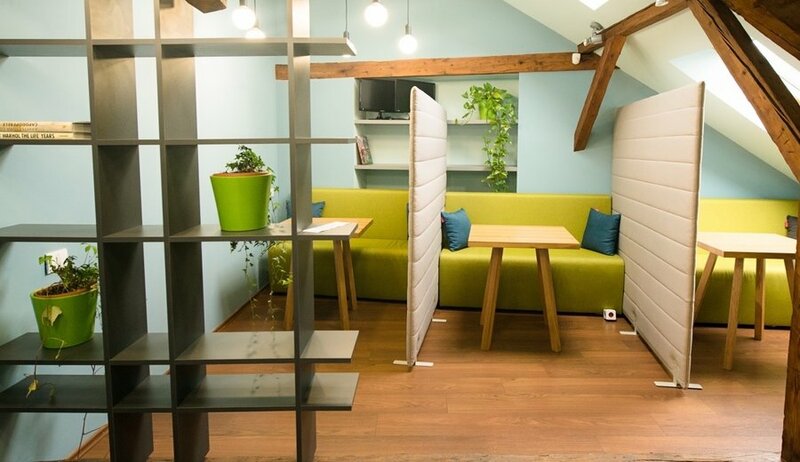 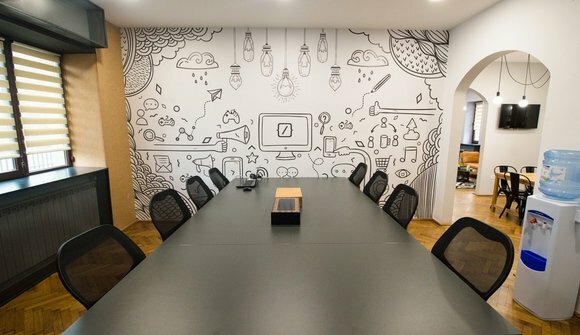 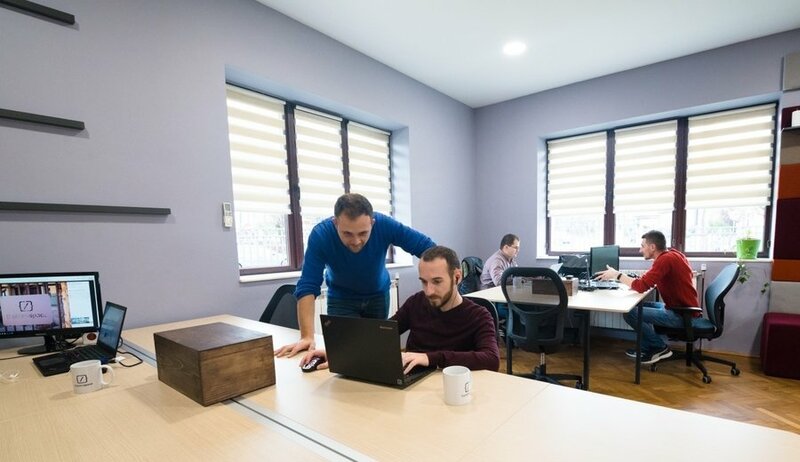 Consisting of three zones: Hub, Zen, and Connect, thatdevspace-Cluj-Napoca offers different areas for members to work and relax depending on their daily need or mood. 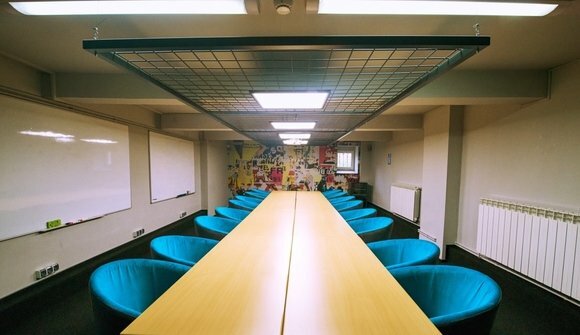 The space is open Monday-Friday from 6AM to 11PM and Saturday-Sunday from 7AM to 11PM (closing only for major holidays) and staffed at all times by a helpful and friendly Proctor, whose duty it is to see that all guests are taken care of and have all their needs met - as well as ensure that the space is in excellent condition at all times. 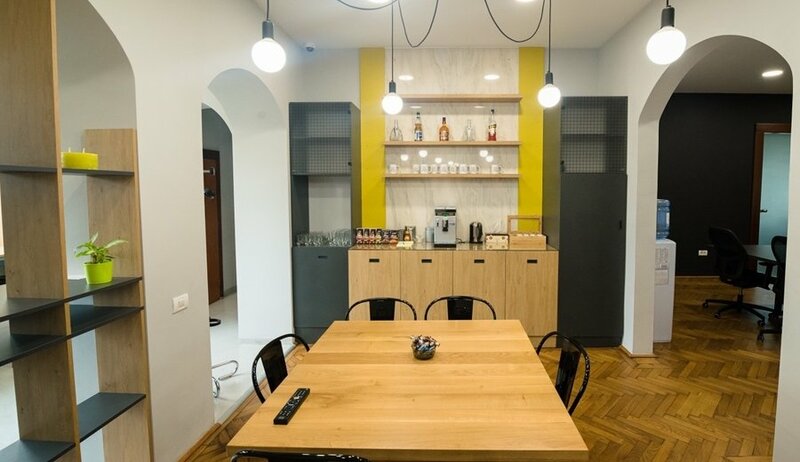 Community and interaction spaces are abundant as well as workspaces, and there is a coffee area, a lounge, a pool table room, outside garden (including an enclosed and heated space), and the highly popular video game room. 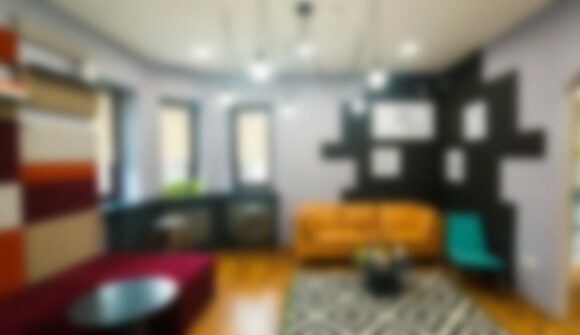 There is no front desk or reception, as all payment, check-in, and scheduling activities are handled via thatdevspace mobile app or website. This gives the space the feel of an exclusive and welcoming private club.